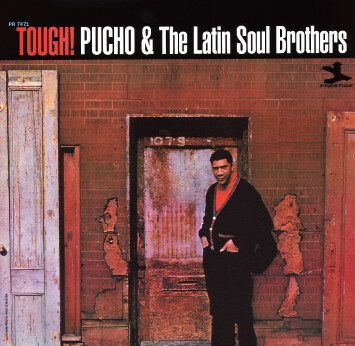 Killer Latin soul CD that brings together 2 of the smokin' albums that Pucho and his Latin Soul Brothers cut for Prestige during the late 60s. If you don't know the material, it's totally fierce, in a Latin soul sort of way. Pucho plays timbales, and leads his tight little combo that features vibes, trumpet, and some very nice tenor playing. The two albums on the CD are Tough! and Saffron Soul, and they both feature the more smoking instrumental side of the group. The CD's got 18 cuts in all, and titles include "What A Piece", "Soul Yamie", "The Groover", "Something Black", "Cantaloupe Island", "Just For Kicks", and the groovy "Vietnam Mambo". © 1996-2019, Dusty Groove, Inc.